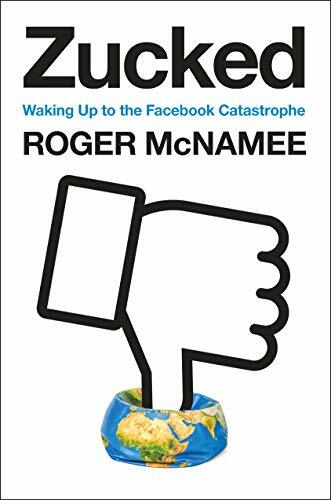 ROGER MCNAMEE: I never expected to be an activist. But I was raised in a family with really strong values. I was born in the mid '50s, my parents were involved in the civil rights movement. And I grew up in a family that believed that everyone should have an equal opportunity. And I was also raised in a family where they believed that we all had a responsibility to be good citizens, to be engaged. And the real question in my life was: When would my opportunity come up? It wasn't like I was looking for it. It was more that there never seemed be anything going on in which I could be a useful voice. So when I began my career, all of that went into the back of my mind. But I still had a really strong value system. And I noticed, beginning in 2007, that the values of Silicon Valley were changing. That Silicon Valley was moving away from the value system of Steve Jobs and empowering users, to starting to view the people who used the products as a source of economic value, not a beneficiary of it. And I had to pass on a series of companies that I knew were going to be successful; it started with and Zynga and then Spotify and then Uber, all of which I could have been an investor in practically at the beginning. I don't want to be critical of those companies, specifically. But for me, my value system said: I want to be involved in companies where our values are aligned. And they were comfortable exploiting certain populations. And I just didn't feel good about that. And that's what caused me to think that maybe I couldn't be an investor anymore. I couldn't manage other people's money if I wasn't willing to invest in the best that Silicon Valley had to offer. So that's the backdrop for 2016, when I start to notice things going wrong on Facebook. The thing is that I was convinced that Facebook was different. When Mark started the company, he insisted on authenticated identity, right? Everybody had to have an email account from a school. And with that you got rid of trolls because people couldn't be mean and hide behind anonymity. They had to be willing to take whatever the social blowback was if they didn't behave well. And I thought that was the holy grail. And it never occurred to me that Facebook would move away from that. But that's what they did. And so in 2016, when I started to see things going wrong, I eventually said, I can't sit back and watch this. I was retired. The easy thing to do would have been to just sit there and say, this is not my problem. I'll leave it to young people who have an economic stake. But for whatever reason, my value system kicked in and said, this is my moment. There's something really wrong here. I need to reach out to my friends. I thought Mark and Sheryl were the victims. I didn't think that they were the cause of any of this. And I wanted initially to protect them. The hard part came when I discovered, no, they weren't interested in fixing the problem. They wanted to treat it as a public relations problem. Now I'm faced with a quandary. This is a company I've been involved in, not from the very beginning, but from year two, or year three, I guess. They were two years old when I first met them. And if I was going to push back in public, I was going to have to walk away from what was, I think, probably the most successful investment I'd made in an incredibly successful career. And it didn't take long to make that decision. I realized that there was a real risk that Facebook had been used to affect the outcome of the 2016 election. It was almost certainly a factor in the Brexit referendum in the United Kingdom. And who knew what else. I mean, we've since discovered it was a factor in a genocide in Myanmar and in hate-speech-related killings in Sri Lanka and election interference in many countries in Europe, maybe even turning over an election in Brazil with WhatsApp. But I didn't know that then. What I knew was that I had seen something I couldn't live with. And I had profited from this thing. And I couldn't very well sit back and do nothing, given I'd been involved. I profited. And I saw something I knew wasn't right. It was one of those moments where you have to make a choice. If I wasn't going to stand up on this issue, what issue was I going to stand up on, right? This is where my value system comes into play. Is it just talk, or am I going to walk the walk? Now, what did it mean? Most of the people that I've been most closely associated with professionally are not comfortable with me anymore. Some of them say really awful things about me, much of it completely not true. And I'm OK with that. I'm OK with that because I believe in what I'm doing is right. And I believe that if Mark and Sheryl get a good night's sleep, if Larry and Sergey get a good night's sleep, they'll wake up and realize, they'll have an epiphany that they've been successful beyond their wildest dreams. And the time has come to be the hero in their own story. That the next billion dollars isn't worth anything to them. That they can do more good in a year by reforming their companies than they could ever do with a foundation.